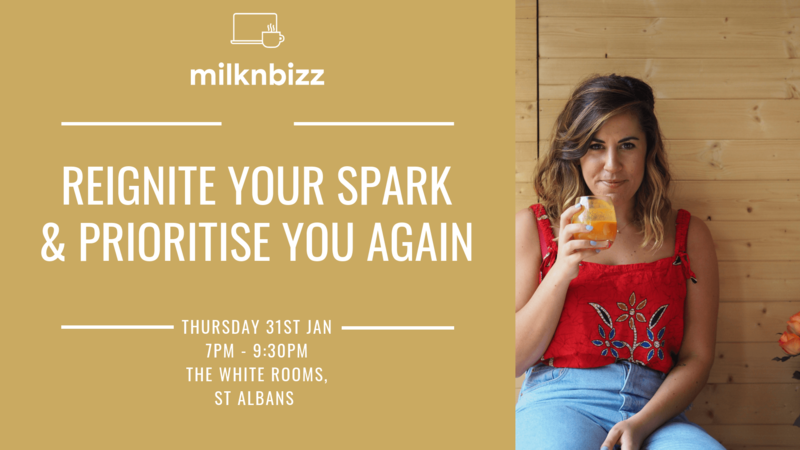 Jenni Kiddle from Nettle and Rose Nutrition is a nutritional therapist and health coach who supports women in reigniting their spark. Jenni helps women who feel disconnected to learn how to nourish their body and mind and prioritise self-care so they can finally live a wholehearted and fulfilled life. Late nights, over stressed, inhaling lattes.. these habits build up easily but the consequences can make raising a family and running a business tricky. In this workshop we’re going to ban the word ‘diet’ and talk about ‘abundance’. We will explore enjoyable ways you can nourish your body and your mind so you can keep up with your demands and live a fulfilled and wholesome life. You’re a busy women – not prioritising self care and good health is no longer a option. You must put your oxygen mask on first! ◦ Nutrition advice for keeping up energy levels throughout the day – finally forget that afternoon slump! The workshop will take place at The White Rooms, St Albans which is next to the Peahen Pub on 6 London Road. There are some car parking spaces at the venue however the London Road car park is free after 6:30pm. I look forward to seeing you there, if you have any questions please let me know.